"She Does Justice is an advocate for those who need one. It is a space where organizations who are working for the good of others are recognized. It is a community of people who want to show love to the 'least of these'. A place where we strive to show those in need that they are known and loved. We have made it our mission to support organizations who are working to reach those in need, near and far. It doesn't matter how big or small the organization, if we believe in its mission then we want to help support it." She Does Justice is truly an amazing site whose main goal is to give back. We are so happy to be an affiliate and to help her do just that. So what does being an affiliate mean? 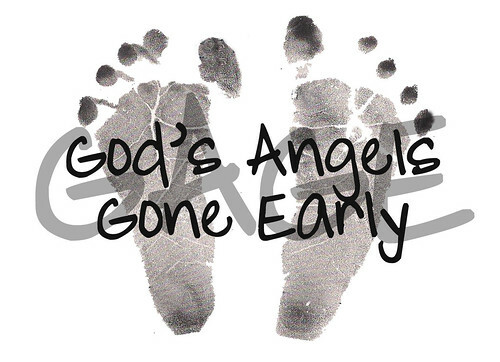 It means that a percentage of every purchase that is made in the She Does Justice Shop through our referral link will go directly to God's Angels Gone Early each month and towards helping those families who have lost their little ones too soon. The shop has cute & trendy homemade items that anyone would love! Take a moment to visit her shop and look at her products. Remember every purchase you make through our link, which you can find by clicking the She Does Justice logo above or by clicking HERE, will help support She Does Justice AND God's Angels Gone Early. Her shop is filled with tons of items that would be perfect gifts for the upcoming holiday and not only are you buying an amazing product but you're supporting amazing organizations at the same time. So take a moment to visit her shop and share this link with your family and friends! !